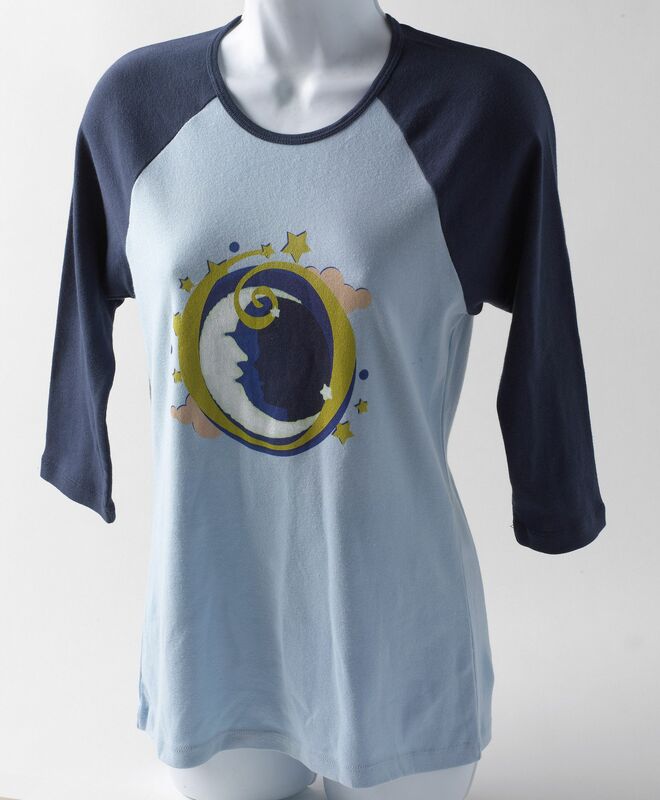 This light blue shirt is made with 100% cotton and has a navy blue ¾ sleeve. 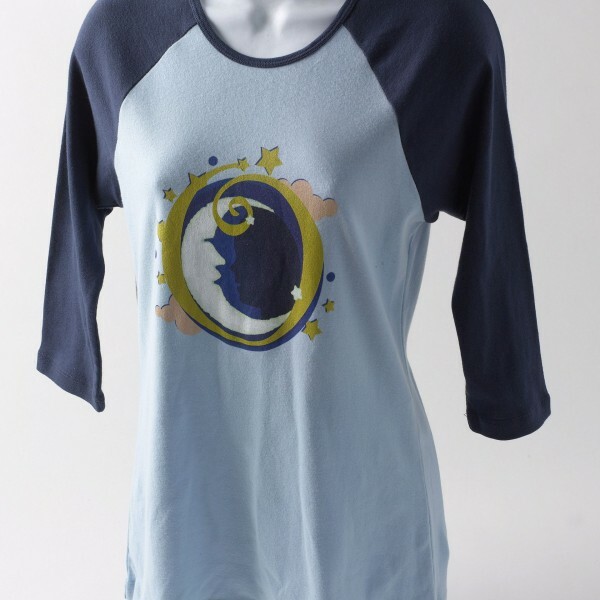 This shirt tends to run one size smaller than comparable sizes from other manufacturers. 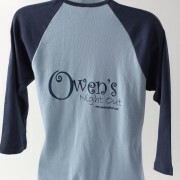 The Owen’s Night Out Logo appears on the front of the shirt. 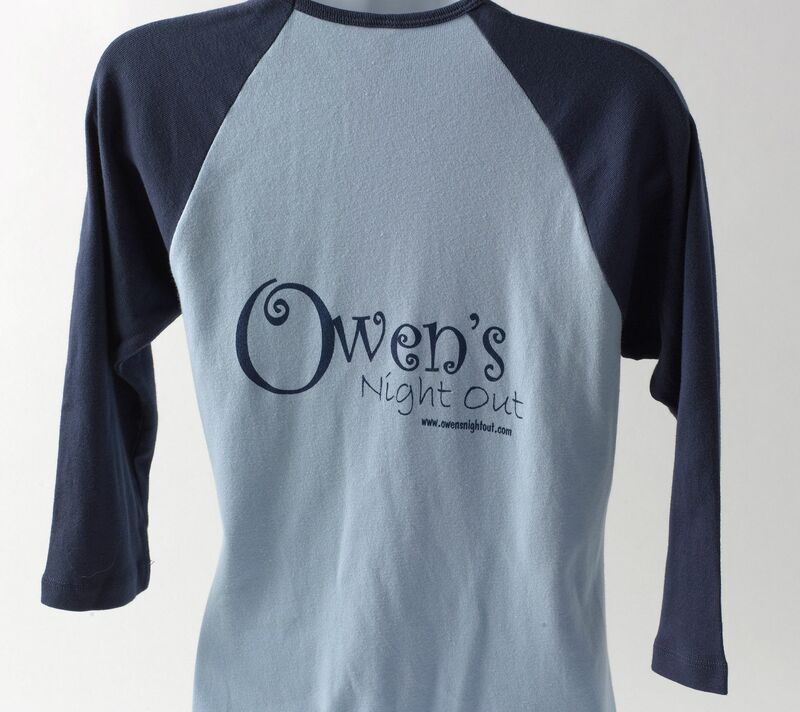 On the back is the name Owen’s Night Out and the web address.